With plenty of attention being shown recently on the transformation of Jurong Lake District, let’s switch our focus one of another Singapore’s key growth area – The Waterfront City . With these completed developments, the total number of residential units has been increased by another 1,093 units. However this has also applied pressure on the owners/investors who are on the hunt for tenants to sustain their investment. It was highlighted by experts that due to these developments are rather close to one another, competition for tenants is certainly inevitable, and will definitely lead to pressure on price point and subdued rental rates. According to statistics since 2012, transaction numbers have also plummeted significantly. In 2012, the market have seen a total of 89 non-landed homes transacted in the resale market of District 2. A year later when the property market was shaken by both the Additional Buyer’s Stamp Duty and Seller’s Stamp Duty, the number of resale transactions dropped to just 43 in total, and by 2014, the number fell to only just 23 units transacted. During 1Q2015, we’ve only seen 3 transactions took place. For new launch condo sales in District 2, a similar downtrend was seen with the total number of non-landed residential properties transacted fell from 169 in 2012, to only 41 units by the end of year 2014, and further down to just 4 transactions in 1Q2015. In April 2015, there were 2 sub-sale transactions at 76 Shenton, next to EON Shenton. The latest one being a 1-bedroom unit with a size of 592 square feet (sqft) situated on the 34th level was transacted for S$1.15 million, which equates to S$1,943 per square foot (psf). The other sub-sale transaction was a 2-bedroom unit (980 sqft) on the 21st floor that changed hands for S$1.78 miilion (S$1,817 psf). When 76 Shenton was launched in March 2010, it was fully sold just within hours in a day with prices ranging within S$1,600 psf to S$2,200 psf. The highest transacted unit was sold at S$2,559 psf. Apparently, some of the owners of the above-mentioned properties have been selling their units before the price they bought at. For instance, a 990 sqft residential unit on the 21st floor of Altez was recently sold at S$1.9 million or S$1,919 psf. This resulted in a loss of approximately 5.9% for the seller as it was originally bought at S$2.02 million (S$2,042 psf) during the project’s launch 5 years ago. Things were on a better outlook during earlier days in the district. Icon, which consist of 646 units in total, was the first private condominium within Tanjong Pagar completed in 2007. The latest transaction was a 700 sqft unit situated on the 27th floor, which sold for S$1.2 million or S$1,715 psf on 07 April 2015. It was noted that this particular unit have already changed hands for 6 times in total, since it was first bought during the launch in 2003 for only S$508,220 or S$726 psf. In any case, property experts are not expecting prices to slump much as property developments are still persisting with their asking prices for their units which are still unsold. For instance, there are still about 47 and 137 units left unsold at both Altez and Skysuites @ Anson respectively at the end of March 2015. 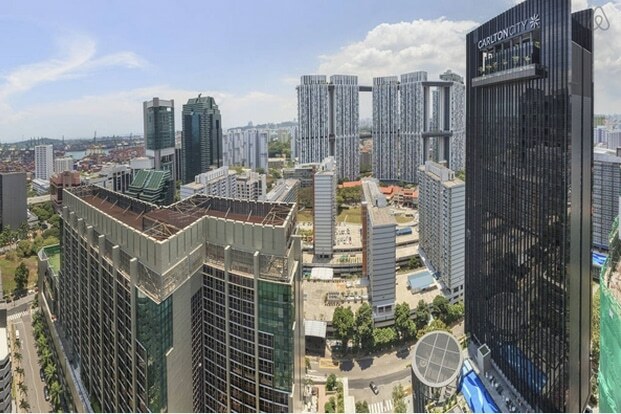 Also, possibly the “crème de la crème” of Tanjong Pagar – Clermont Residence, have only sold 16 units in the 181-unit development with the latest sale being a 1,625 sqft unit which is situated on the 51st level for an amount of S$5.26 million or S$3,238 psf in the same month.